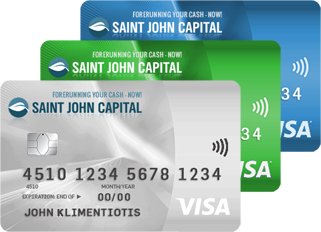 Saint John Capital is looking for qualified individuals for the following positions. Join our fun, fast-paced team by applying below! Analysts collect, use and interpret complex data to create actionable results that will improve company processes. They must take large swaths of information, break it down into useful and manageable parts, and subsequently present their findings to upper management to help implement strategic plans of action. Analysts need to assess the needs of its client, then use research, testing, and detailed analysis to deliver information that can increase the efficiency and effectiveness of a product, project or operation. Many industries use analysts to help them identify the results of their operation and business functions. They work in a number of industries and can take on such titles as business, financial, cost, marketing and industry analysts to name a few. Analysts analyze data and they must do it exceptionally well. Accuracy, attention to detail and the ability to turn raw data into actionable concepts are all vital responsibilities of analysts. The brand manager will develop and market the company brand. They will strategize for effective campaigns, set brand standards, and improve the customer experience. Acting as gatekeeper of brand, brand manager will implement guides and work with teams on advertising, promotions, internal work, campaign marketing, social media, and other areas of representation. We are looking for a highly motivated and forward-thinking Business Development Director to lead our sales initiatives. The Business Development Director will support and guide internal and external relationships. This professional must be a strategic and critical thinker with a proven record of success in expanding company objectives and exceeding business goals. The Facilities manager will oversee all building and grounds maintenance for our company. They will be responsible for ensuring the facilities are safe, up to code, and fully operational. The facilities manager will also be responsible for managing contractors, training new employees, and working with third party vendors. Our company is looking for a capable, diligent financial controller to manage the accounting operations of the organization, as well as cash management and risk management, along with supervising all accounting staff. The position is based in an office setting; however, some travel may be necessary along with occasional weekend or evening work. The financial controller must deliver precise information under strict deadlines. The ideal candidate for the financial controller position is bright, attentive, and efficient with self-assurance and the ability to complete work skillfully with little to no direct supervision. The Human Resources Coordinator helps organize, coordinate and carry out all human resource department projects and processes for an organization. They work directly with and assist the Human Resources Director to fulfill a variety of necessary HR tasks. This will likely include all hiring, firing, training and company education procedures for new or existing employees. Human Resources Coordinators must track and maintain all employee data (contact information, earning rates, absences, promotions etc.) often using paper and HRIS (human resource information system) software; therefore, strong computer and clerical skills are a must. Human Resources Coordinators also help maintain positive employee relations and work to ensure worker satisfaction through education of HR policies and by fostering a positive work environment. A Human Resources Coordinator should be highly organized, detail oriented and most importantly personable and approachable. Track benefit plans including health care, retirement, Workers Comp etc. We are looking for an organized and hardworking janitor to join our company. You’ll be responsible for keeping our building clean. In addition to keeping the inside of the building clean, you may be expected to keep the outside orderly, as well. You will be responsible for a variety of tasks, so our janitor needs to be hardworking and willing to engage in a number of cleaning activities. The key account manager is responsible for handling the most important client accounts in a company. These accounts make up the highest percentage of company income, and the key account manager must build and maintain a strong relationship with the client. They will be the lead point of contact for all key client matters, anticipate the client’s needs, work within the company to ensure deadlines for client are met, and help the client succeed. The key account manager will also bring in new business from existing clients or contacts, and will develop new relationships with potential clients. We are looking for an organized and efficient legal clerk to join our team. The legal clerk is responsible for the organization and upkeep of all the legal documentation and records that our team works with every day. The ideal candidate must be extremely organized, and excellent at cataloging and managing a large filing system. The legal clerk will also be responsible for performing clerical duties such as making copies, answering phones, preparing legal documents, and assisting in office upkeep. We are seeking a skilled and experienced paralegal to join our growing legal team. In this position, you will help lawyers by investigating facts, researching laws and regulations, and preparing and maintaining legal documents. Organizational skills, attention to detail, and a strong work ethic are a must. We are seeking an organized, experienced purchasing officer to join our growing team. In this position, you will research and negotiate the best price and quality for our supply needs. You will establish relationships and serve as a representative of the company when negotiating contracts and building vendor and supplier trust as well as track and monitor the delivery and confirmation of all materials and supplies. We are looking for an experienced and creative user interface designer to join our team. The user interface designer will be responsible for creating and designing web elements that optimize user interaction and experience. The ideal candidate will understand the differences between UI and UX design, and have a creative yet organized approach to tackling problems and creating solutions. The user interface designer will work with team leadership to create wireframes, storyboards, and conceptual models for testing and building. We are seeking a highly skilled, experienced webmaster to join our growing in-house technology team. In this role, you will be responsible for managing our company’s web presence, ensuring that our site is user-friendly and up to date at all times. You will also work with our technology team to expand our presence through the design and implementation of new web-based applications that will positively impact our customers’ experience. You should be highly knowledgeable in server management and online security, content management and have solid coding skills.